Jackie lives alone in a small rural property in western Sydney. Her house is crumbling around her – the effect of 50 years of detonations from a nearby army base. Her world is upended when a refugee fleeing danger enters her property. Although he is strange and silent they form a tentative alliance. But the comfort of a shared daily life is underlined by fear. Who is this man? Can he trust her and stop running? 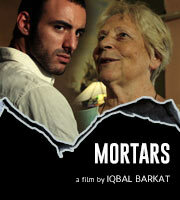 Shot entirely in Sydney’s western suburbs MORTARS is a hybrid film, part documentary, part fictional drama from director Iqbal Barkat and Filigree Films. The multi award-winning musical play inspired by the remarkable true story of writer Tony Briggs' mother and three aunts, returns to the stage for a limited season. The creators of The Young King bring Erich Kästner’s 1929 coming of age novella to life in this must-see award-winning production.